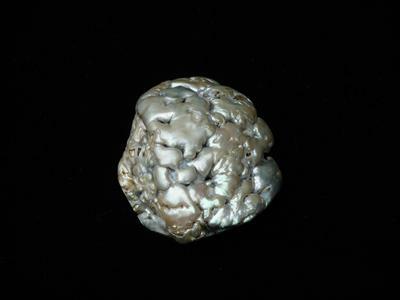 This amazing natural pearl was found off the coast of Bodega Bay, California and weighs an astounding 212.5 carats. The pearl was discovered by a local diver and artist who has carefully searched the Northern California coast for abalone pearls for over 30 years. The diver retrieved an unusually deep shell measuring approximately 22x20x9cm. 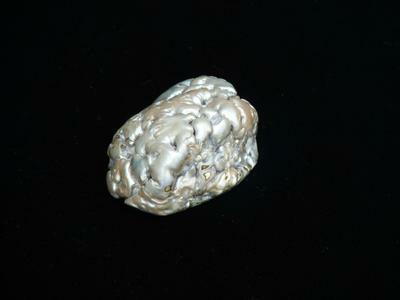 Inside and detached from the shell was a massive pearl measuring 47x47x21mm. The base color of the pearl is silvery-white shading to dove-grey with a pink and blue orient. 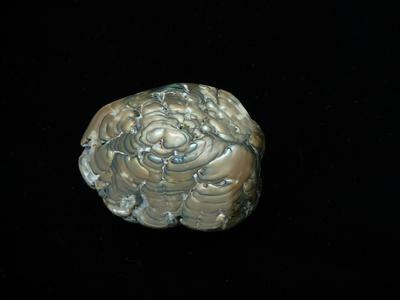 The base of the pearl has been polished to display the concentric layers of nacre that form this solid pearl. Extraordinary not only for its size and origin, this gem is extremely attractive and a very uncommon color for an abalone pearl. It may be the only pearl of its color, size, and quality in existence. Contact Kari to purchase this pearl. 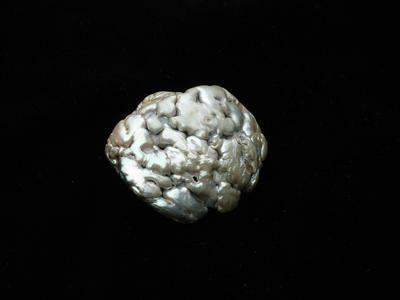 Please mention "212 carat abalone pearl". The underside is so gorgeous I would definitely make sure it shows, whatever the setting! I am seeing a 212-carat natural abalone pearl for first time in my life. This look amazing in the photo so when I see it is real I would be shouting like a child. You are so lucky to have these with you.